How to get to BOWA Dubrovnik? the only way to come is by sea. So be prepared to sail because it will take you to a special, magical place. 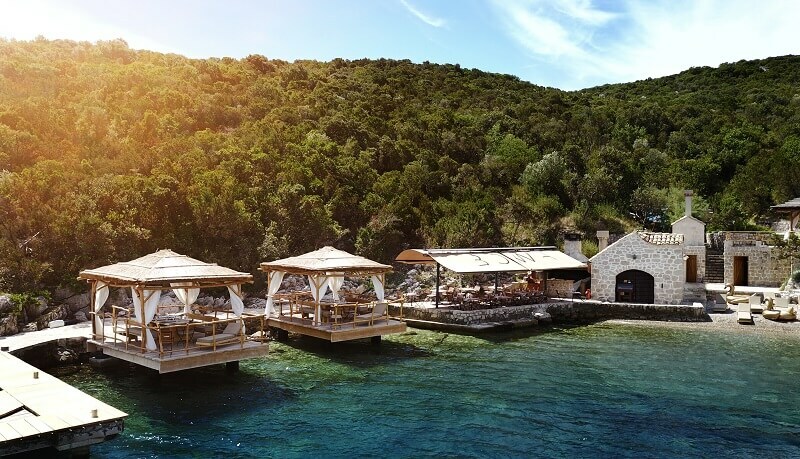 Restaurant BOWA is located on Sipan island, in hidden bay, surrounded only with untouched nature and crystal blue sea, offering piece of true paradise such near touristicly very crowdy Dubrovnik. But as you already know, for best places in the world you have to try harder to find them, and that is exact story about coming to our unique restaurant BOWA. Place where you will find Best Of Whats Around. There are few ways to come to our hidden pearl. If you need a transfer from your hotel to little harbor Brsečine, you can make a combination by booking your transfer with Adriatic Explore and BOWA speed boat, with a chance for car or van picking you up from hotel, and returning to hotel after fabulous gastro trip. If you already have a car or vehicle to come to harbor Brsečine, located 22 km to the west from Dubrovnik down the coast, you can rent a water transfer service with BOWA speedboat directly as the day approaches. If you don’t have your own car or any other wehicle to drive to harbor Brsečine, you can always take services of local Taxi or Uber, before and after you sail to Sipan island.